While I agree with everything to do with accessibilty and ableist exclusion, this article reeks with women’s activism, and not feminism. Issues regarding disability aren’t feminist because some women are disabled – they’re feminist issues because people with disabilities are affected by the same structures of oppression as other marginalised groups. ‘Disabled sisters’ is essentialist, painfully exclusive and cissexist. This is giving the impression that you wouldn’t care about disability if there were no disabled women, and that it’s only the women with disability you care about. Intersectionality: practise what you preach. What a bizarre interpretation, I read quite the opposite, that feminism was not being inclusive enough by disregarding the fact that some women are disabled. Feminism is about women’s rights, therefore disability is a feminist issue, by definition, if it affects women. That doesn’t mean people who are feminists don’t also care about disabled men, or any other marginalised group. As a matter of social justice, they are, I would say, more likely to be sensitive to others who suffer discrimination. I think the article did touch upon the fact that disability is a feminist issue not just because some women are disabled, but also because it is a social justice issue, which means recognising that disabled people are affected by the same structures of oppression as other marginalised groups, to my understanding anyway. I am not sure how the author having said ‘disabled sisters’ is supposed to imply that she wouldn’t care about disability if there were no disabled women. As the 24/7/365 disability carer/Corkfeminista blogger quoted in this excellent article I regret I can’t take time out of my responsibilities to say all I would like to say in response to the above comment…please see The F word’s Facebook page for my views. Hi Gaia, When I read your original piece I was struck by what you had said and went back to it when I was writing this piece. You have a good writing style. I am confused. 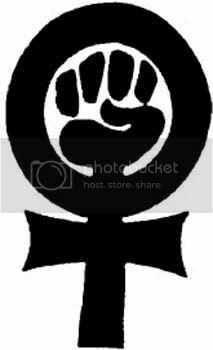 What is the difference between women’s activism and feminism, in your opinion? 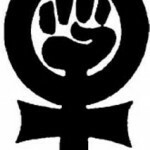 I have experienced feelings of exclusion from feminism, personally, because I have not been educated within that area and I think a lot of academic, feminist arguments require a certain level of understanding. That, for me, is a barrier to having my opinions heard and for me to gain an understanding of others opinions – emotionally I can feel embarrassed admitting that. I can only imagine this becomes increasingly difficult for those women who have language barriers, learning difficulties, have had difficult childhoods etc. Now, this is a different context but I see similarities in what the author has written; remove barriers to participation in order to let women have a voice, whether that is jargon or a staircase. What does essentialist and cissexist mean, to you? My understanding is cissexist has something to heterosexual privilege? I am an ex-academic and I REALLY agree with your viewpoint Sam.I’m starting a publishing venture this year which is specifically dedicated to the idea of ‘accessible ideas’….putting them where they need to be, in an accessible form into the hands of EVERYONE ! In my understanding, the term ‘cis’ has appeared over the past few years (at least, I’ve only noticed it during that time) mostly in feminist blogs and activist circles in response to the fact that there was nothing to designate the group that is the opposite of ‘trans’. The lack of a term for this meant that trans looked like the opposite of ‘normal’, so someone came up with ‘cis’ (I think linguistically it’s got Greek roots; I’d only encountered it in chemistry classes previously) to mean a person who identifies with their assigned gender. It hasn’t caught on yet in popular discourse, not even in the lefty newspapers; it may eventually, but at the moment ‘cis’ does seem like an exclusionary term because the people who understand it tend to have backgrounds in academic feminism. Personally I wouldn’t use the phrase ‘sisters’. To me it sounds a little old-fashioned, partly from my subjective writing style preferences, but mainly because – and I agree with Alex here – it covers up the extent to which gender issues affect men as well as people who don’t identify with a gender, in a second wave kind of way. However I don’t think this is what Jane intended and it is nit-picking a little bit with an excellent article. I can’t help with your question about the difference between women’s activism and feminism. I don’t know what Alex means here. I would add that I’ve been having this academia/feminism conversation on another blog lately and would say that any academic who genuinely wants to help feminism and to share their ideas would try hard to use accessible language, so that it’s not just an elite who can benefit. I certainly am very conscious of this. Thank you, I think your understanding is similar to mine, with regards to CIS. I struggled (still do) to understand how this article could come across as cissexist. My understanding is that cissexist people regard transexual people as inferior. Granted, the term “sisters” may stand to exclude people who identify as male,transgender or intersex but I think Jane’s intentions were to help women with disabilities to feel included, not excluded, especially given the context of the article. Hi Sam, I agree, that’s how Jane’s article read to me too. Thanks for this artice, Jane. I work for a disability organisation in Sydney, Australia, and these are issues we face everyday. Australia, unfortunately is well behind most of Europe in it’s accessible spaces, public transport you can absolutely forget about it! Just want to point out to readers that it is not only people living with physical disability that are marginalised and discriminated against. People with sensory disability, especially vision impairment, people with intellectual disability with low literacy, and people with psychiatric disability also need to be considered. Alex: I can’t say that I have ever made a distinction between women’s activism and feminism – perhaps you could expand? And yes, issues around disabilities are feminist because of the structures that perpetuate oppression. However, why is the term ‘disabled sisters’ cissexist? I understand the term to mean belief and treatment of transgender and/or transsexual people as inferior to cissexual (non-trans) people: I don’t think I made any such distinction in my article? Meanwhile, your final point – I care about everyone who is disabled and suffering discrimination, but this article is specifically about disability and feminism, so by default concentrates on women. I would welcome your thoughts. Thanks for your comment Philippa, and Melissa: sorry to hear Australia is even worse in terms of accessible spaces and public transport. Also, people with sensory disability, especially vision impairment, ‘people with intellectual disability with low literacy, and people with psychiatric disability also need to be considered’ – yes indeed they do. In fact, my argument is that this is where any structural design should start from, whether it be public transport, or service industries, because this makes life easier for everyone. Universal design principles should be employed as the default position in my view. I just wanted to add to your point about low literacy – after studying for longer than I should probably admit at university, most of my friends are highly literate, while even at school I didn’t know people who had very low levels of literacy. From talking to housemates doing placements in social work and nursing I’ve recently become aware of how different my experiences are to those of many people. It is disheartening to hear how much many people struggle to fill in local authority forms written in language that is much more complicated than it needs to be. Yes that is very true. Literacy is kind of assumed I think. Which is why the UK benefit system is a nightmare due to the pages and pages of information they demand. With the introduction of universal credits it is possible that things will become a lot worse. All applications will have to be made online and there will be no (or very little) help; through face to face communication and/or via the phone. It is not just those who struggle academically who will struggle, those without access to a computer, or knowledge of how to use a computer, speakers of other languages, those with physical disabilities and so on. Thus bringing the benefit bill down hey Sam? My understanding is that the intention is to bring the benefits bill down (or the administration costs attached to the current system) although I do not think the coalition government will state that they are planning to bring down the bill by making it difficult for people to claim. My understanding is that there will be *some* face to face advice but it will be minimal and it may be tendered for – probably situated within the local authority buildings. More in-depth detail will be announced at some point in the future so it is a case of constantly searching for up-to-date information. The cutting of administration costs should not mean cuts to accessibility though – there should be provisions in place to ensure EVERYBODY can gain access to benefits. Another con to the “super computer”; what happens to all the staff currently working in housing benefit departments?